If you want to learn to dive, Sydney is the best place to go to. With diving spots hailed as among the best in the world, you can’t go wrong with such choice. If you’ve always wanted to take the plunge, now is certainly the best time. 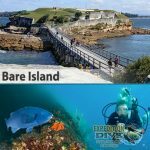 All you have to do is pick which dive shop Sydney has to offer and you’re in for an underwater adventure of a lifetime! 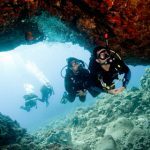 When it comes to picking a Sydney dive centre though, we suggest that you choose from a PADI dive shop that has achieved the PADI 5-star rating. That way, you’re sure to have the best possible diving experience because not only do these dive shop business systems meet high standards and services, they implement the PADI structure of diver education with a commitment to providing quality training and experience. 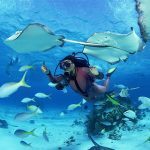 To get you on the right track though, we highly recommend that you start with us, Expedition Dive, as we have are PADI certified with competent instructors to help you learn the basics of scuba diving properly and safely. If you’re quite the novice, you can start with our Discover Scuba Diving lessons and have your first taste of diving via our guided shore dive or guided boat dive. 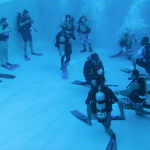 If you’re already advanced or a master at diving, we have the likes of advanced open water diver, rescue diver course, dive master and master scuba diver which are sure to challenge, if not, enhance your skills. Expedition Dive also offers boat trips for some fun and adventure with family and friends. Choose from our Family Day Trip Package or Corporate Team Package and get to experience what amazing marine life is found under the sea with people close to your heart. If you’re worried about diving supplies, Sydney dive shops certainly have much to offer. 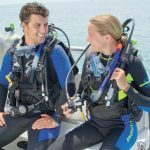 All of them come with an array of scuba diving products from gear to accessories with pocket-friendly prices so you can enjoy your scuba diving experience minus the budget worries. 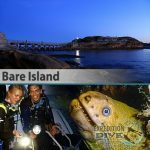 Indeed, learning how to dive is done best at Sydney and with what dive shop Sydney has to offer, your first, or even the nth experience, just can’t get any better!